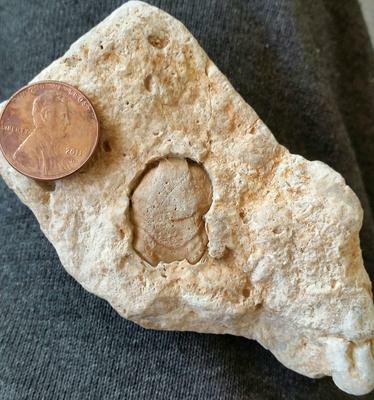 Found this a few years ago, so not exactly sure where, but most all of the fossils I have were found in dry washes in the desert surrounding Las Vegas, NV (hence the name I gave it). I have found some photos of fossils that look very similar to this but nothing exactly like this yet to tell me precisely what it is and how old it is. Any help on narrowing it down would be appreciated. Put it on you mantle. Sorry I cannot identify this one. Looks like it could be some shelled marine creature but thats just a wild guess.